Towards the end of 2017 we commenced the construction of a multi-million pound leisure/restaurant complex overlooking the loch. 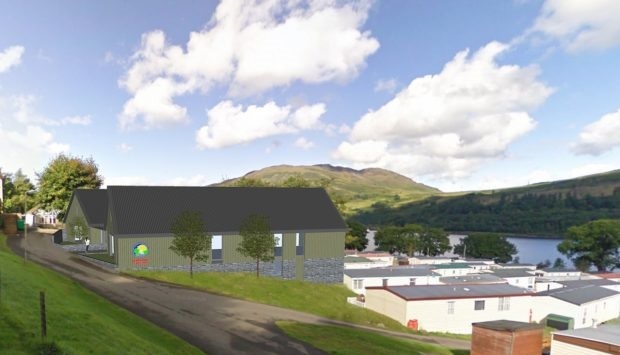 It has taken a number of years to get this project up and running, owing to the area of natural beauty that the holiday park sits within, however following planning permission being given by the Loch Lomond and Trossachs National Park authority works are underway. Perthshire Caravans is working closely with Dundee-based Andrew Black Design and Perth construction company Algo Design to bring the two-storey project to fruition. On the site of a former steading building, the complex will include a new bar, restaurant, fitness suite and children’s play area. Ian McCormack, managing director of the park owners’ Perthshire Caravans said: “By providing this impressive, state-of-the-art facility, we will not only meet, but exceed the expectations of our discerning client base and provide a fantastic community resource for those who live in and around Loch Earn. Andrew Black added: “We are extremely excited about the plans. 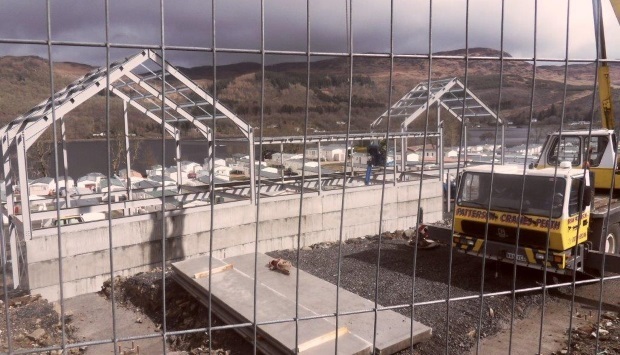 The lower level will be built into the existing slope, elevating the upper floor level to maximise views across Loch Earn and the surrounding area.